U.S. Citizenship and Immigration Services, agency within Homeland Security, selected HID Global to continue manufacturing Permanent Resident Cards – or Green Cards. HID will be responsible for the secure production, delivery and storage of up to two million Green Cards in 2013. The Green Card incorporates technology to prevent counterfeiting and obstruct tampering, while facilitating authentication of the card. The Green Card combines HID’s LaserCard optical security media with RFID tags. 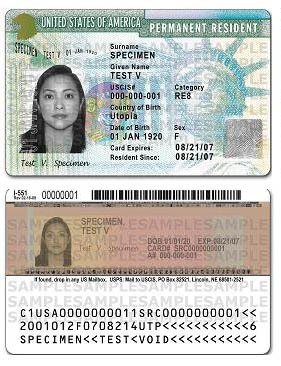 LaserCard, which was acquired by HID in 2011, was originally tasked with producing the Green Cards in 1997. There have been no significant changes to the card since the RFID technology was added a couple of years ago. The RFID technology is the same that is used in the Passport Card, NEXUS and SENTRI programs, which enable easier crossings at land and seaports.